How to become AMRES user? Modernization of teaching, promotion of new education technologies and improved implementation of Information and Communication Technologies (ICT) in implementation of study programs are the main aims of eLearning service of Computer Centre, University of Belgrade - RCUB, based on MOODLE platform. By establishment of eLearning platform RCUB integrates basic concepts and principles of electronic learning within University of Belgrade and Serbian academic community. 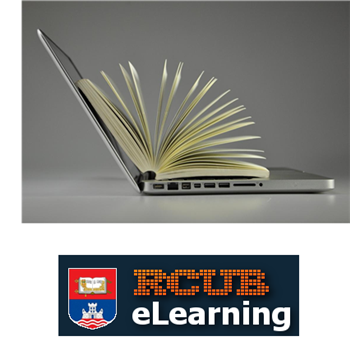 AMRES end-users may use RCUB eLearning service in order to create and take courses in electronic form. Modernization of teaching is enabled and implementation of study programs is improved in this way. possibility of sending feedback information. Professors may organize the program in appropriate way, while the platform provides them with the opportunity for active information exchange with students, as well as monitoring of their work via numerous different functionalities. As far as students are concerned, this service enables active learning and further professional training which combines different ways of interaction with professors, as well as mutual communication, exchange of useful information and knowledge. Materials as well as other useful information are always available, which promotes course attendance to high extent and in this way this service contributes to high quality education. Students can be registered for the course by professor, they can be added automatically by administrator or they can register on their own. Professors can monitor and evaluate their work via eLearning platform.